Microsoft wants to bring artificial intelligence to you. Well, not you specifically. Everyone, in fact. That is the impetus behind its new shakeup, which reorganizes the company with a focus on democratizing A.I. Of course, Microsoft has been working on this for a while, with things like Cortana, Skype Translate and Tay. So what makes this news any different? In IT Blogwatch, we focus on the big picture. Microsoft...has formed a new 5,000-person engineering and research team to focus on its artificial intelligence products -- a major reshaping of the company’s...structure reminiscent of its massive pivot to pursue...the Internet in the mid-1990s. The new Microsoft A.I. and Research Group...establishes a fourth engineering division inside the company, along with the Office, Windows and cloud groups. 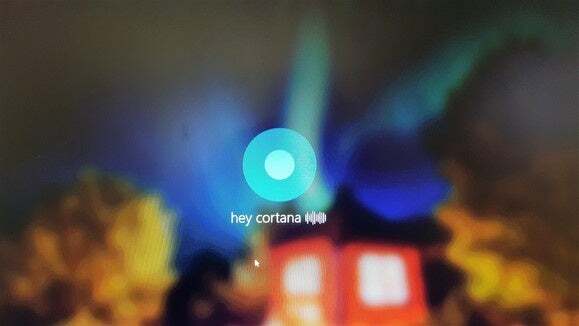 Microsoft took the...step of combining its Bing and Cortana product teams with Microsoft Research, in a bid to accelerate innovation for both the search engine and the digital assistant. Microsoft has been injecting intelligence into as many products as possible. Cortana can remind you when to leave for an upcoming appointment, based on your calendar and the current traffic conditions...Placing...Bing and Cortana...within Microsoft’s research group probably means that Microsoft hopes to push out feature improvements to both products at a faster rate. Microsoft is dedicated to democratizing A.I...making it more accessible and valuable to everyone and ultimately enabling new ways to solve some of society’s toughest challenges. Today’s announcement builds on the company’s deep focus on A.I. and will accelerate the delivery of new capabilities to customers across agents, apps, services and infrastructure. Cortana should be dancing in the streets. With this reorg, Nadella puts considerable muscle and money behind his commitment to "the democratization" of artificial intelligence...At least, Microsoft will give Google and Apple a good run for the money. I offer obeisance to our emerging electronic overlords, but I wonder if they'll speak Microsoft.